The principle of Cui Bono ("who benefits"? ), is surely the only one those of us not privy to State secrets have available when examining issues of espionage as they relate to both foreign and domestic policy but the mainstream media (msm), almost never apply it. There have been countless instances in recent decades when sober reflection on the wider implications of incidents of terror or assassination (both successful and attempted), may have indicated further lines of inquiry which if followed could well have produced evidence (even if only circumstantial), that might have cast the events concerned in an entirely different light. It is the responsibility of good journalists to identify and examine these before they put pen-to-paper whatever the editorial line the publication or broadcast media they write for might be (any "spin" being applied later), however standards have unfortunately fallen to such an extent that it has become acceptable for the major players in the media to indulge in the worst kind of pandering to popular opinion and knee-jerk response and the recent "spy murders" have proven to be yet another example. Having said this let us therefore examine just who might stand to gain from the recent alleged (both "attempted" and "successful"), assassinations on British soil. Quote; "Mikhail Lyubimov, a former KGB London station chief in the 1980s, told Moscow-based Dozd TV that “you've got to be an idiot to suddenly do this right before our presidential elections.” Lyubimov’s conspiracy theory is simple: A Western secret service—he didn’t say which one—or “some kind of Russian gang linked to some Western secret services” carried out the attack to whip up anti-Putin feeling in the West." It’s possible Skripal’s would-be assassins may not care about the political fallout, which would be evidence, says Mark Galeotti of the Institute of International Relations Prague, of “more cracks forming” in Putin’s control of his espionage services. And the murder attempt could have been the result of a rivalry between different security agencies. *" Go to: http://www.newsweek.com/vladimir-putin-lost-control-russia-assassins-840598 for full article. Official claim that ‘Novichok’ points solely to Russia discredited. "in the statement by Ambassador Peter Wilson, UK Permanent Representative to the Organisation for the Prohibition of Chemical Weapons (OPCW),". "he claimed that Russia has “failed for many years” to fully disclose its chemical weapons programme. The OPCW’s reports on Russia confirm that the agency found no evidence of the existence of an active Novichok* programme.".. So in short, the OPCW does not agree with the vague US and British insistence that Russia failed to declare all its chemical weapons stockpiles and facilities, and does not agree with the insistence that Novichok stockpiles or production facilities exist in Russia. But it seems that neither does His Excellency Peter Wilson** himself. *The "Russian produced" agent held to be responsible by the British govt. for the poisoning of Segei Skripal, his daughter and a a member of the local police force in Salisbury. **This was clearly before an accusation of failure on the part of the OPCW would have aided rather than hindered the man's political career.
" 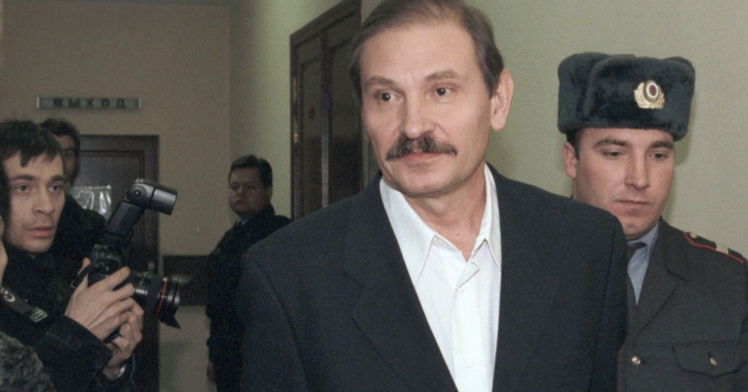 In the early 1990s Skripal was recruited by an MI6 agent Pablo Miller, whom the British media declined to name. Miller was an MI6 agent in Tallinn, the capital of Estonia. Miller’s main task was recruiting Russians to provide information about their country to the British. An interesting fact, possibly coincidental, was that the MI6 officer under diplomatic cover in Moscow at this time was Christopher Steele. Steele was later to become better known as the principal author of the infamous Trump dossier. When Steele returned to London, he ran MI6’s Russia desk between the 2006 and 2009. The information that Skripal disclosed would have been given to Steele, first in Moscow and later in London. Skripal was arrested in 2004. In 2006 he was convicted of treason and sentenced to 18 years imprisonment. In 2010 he was released as part of a prisoner exchange deal with Russian spies in U.S. jails. He went to live in the United Kingdom where he has lived in supposed retirement ever since. Another interesting fact, although again possibly coincidental, is that Salisbury, where Skripal lived, is only about 12 kilometres from Porton Down, the U.K.’s principal research centre for nerve agents. If the Russians had wanted to kill him, they had ample opportunity to do so during the years when he was imprisoned or the eight years he lived in retirement in Salisbury. If they did wish to kill him, it is not a very credible that they would do so very publicly and by a means that could not be bought off the shelf in the local pharmacy. The handling and the administering of these very dangerous substances require professional expertise. The obvious candidates for the attempted murder are therefore government agencies, but which government is the unanswered question. This is where the facts become thinner, but the interesting connections of Skripal offer scope for some tentative hypotheses. While living in Salisbury, Skripal became friendly, according to a report in the UK newspaper the Daily Telegraph, with none other than the aforementioned Pablo Miller – whom the Telegraph declined to name but has since been identified on the web. Miller is now working with a British security consultancy named Orbis Business Intelligence. Again according to the Telegraph, Miller’s association with this company has now been removed from Miller’s LinkedIn profile. The obvious question again is: why do so now? Orbis is the same private intelligence agency as that of Christopher Steele. It seems more than a mere coincidence that the same three men who had personal and professional links going back to the 1990s should have a continuing association at the same time as the Steele dossier was being compiled and later as the so-called Russiagate inquiry was imploding. Former FBI Director James Comey described the Steele dossier as “salacious and unverified” in a Senate hearing. " Go to: http://www.informationclearinghouse.info/48985.htm for full article. BuzzFeed’s decision to publish the Dossier has itself attracted a lot of attention. The Dossier is part of ongoing lawsuits filed by parties named in the dossier and may be part of congressional investigations. The Dossier is a human intelligence document or [HUMINT] and therefore should be viewed not as evidence in a trial, but as a road map for investigators. The dossier’s high level of accuracy is rapidly becoming clear. Christopher Steele is credible. Steele was not just a former UK MI-6 officer; he also worked on behalf of the FBI in the successful FIFA investigation. Steele and the Dossier were credible enough for former FBI Director James Comey and Director of National Intelligence James Clapper to brief President Obama and then-President elect Trump on the contents of the dossier. Steele was writing the Dossier in real time and it largely contains intelligence related to internal Russian efforts to interfere, not intelligence about the Trump campaign. Steele was concerned about his safety after the Dossier was released and went into hiding. While much attention has gone to the salacious tape described in the Dossier, more should be paid to the allegation that for at least 5 years Trump was passing information on Russians living at his properties to Russian intelligence operatives. Steele cites four different sources – a former senior Russian intelligence figure (who is believed to have been murdered in his car on December 26, 2016), a current senior Russian foreign ministry figure, and two Russian emigres; these sources all indicate that Trump had a relationship with Russian intelligence and was providing information on the comings and goings of Russians at his properties. We know that Trump had a vast surveillance system of his properties, and that President Putin and Russian intelligence keep a close tab on Russian oligarchs. We also have separate press reporting that UK, Dutch, French, German, Estonian, and Australian intelligence agencies picked up intelligence on meetings between Trump associates and Russian intelligence going back to 2015." Go to: https://themoscowproject.org/dossier/ for article and view the dossier in full as published by Buzzfeed. Furthermore Russian sources have suggested that as the attempt on Sergei Skripal's and his unfortunate daughter Yulia's lives was "botched" it was certainly not carried out by the Russian Security Services describing the attempt as "amateur" (but let's face it that's not like MOSSAD either), the newcomer to "the game" being infact the Trump administration itself! "On 16 January 2018, a Bulgarian investigative journalist Dilyana Gaytandzhieva wrote a detailed article about the US bio-weapons research that spans across the world in 25 different countries. Gaytandzhieva wrote in her article that the US Army regularly produces deadly viruses, bacteria and toxins in direct violation of the UN Convention on the prohibition of biological weapons, and that hundreds of thousands of unwitting people are systematically exposed to dangerous pathogens and other incurable diseases. She added that bio-warfare scientists are using diplomatic cover (and testing, Ed. ), man-made viruses at Pentagon bio-laboratories in 25 countries across the world. These bio-laboratories are funded by the Defense Threat Reduction Agency (DTRA) under a $2.1 billion military program called Cooperative Biological Engagement Program (CBEP), and are located in countries such as Ukraine, Kazakhstan, Uzbekistan, Georgia, Azerbaijan, Jordan, Iraq, Afghanistan, Pakistan, Laos, Cambodia, the Philippines, etc. Luckily, the Balkans seems to be clear. Gaytandzhieva recently traveled to Brussels and attended the European Parliament in order to confront Robert Kadlec, Assistant Secretary at the US Department of Health, regarding the number of classified bio-weapons research labs scattered through Eastern Europe and Central Asia. Kadlec categorically denied the existence of an American bio-weapon program as well as that information surrounding the labs in question were classified. Gaytandzhieva attempted to continue her follow up but was silenced by Hilde Vautmans, the EU official sitting next to Kadlec, who stated "This is not an investigation" to applause from the audience and an embrace between herself and Kadlec. Gaytandzhieva didn't stop there, however, following Kadlec to the elevator and continuing to ask him questions regarding the bio-weapons program which Kadlec refused to answer. Security staff then refused to let Gaytandzhieva on the elevator." Go to: http://balkanspost.com/article/468/bulgarian-journalist-gaytandzhieva-confronts-kadlec-over-us-secret-bio-weapons for full transcript of the exchange between Gaytandzhieva and Kadlec. Quote; "The US Army regularly produces deadly viruses, bacteria and toxins in direct violation of the UN Convention on the prohibition of Biological Weapons".."Bio warfare scientists using diplomatic cover test man-made viruses at Pentagon bio laboratories in 25 countries across the world. These US bio-laboratories are funded by the Defense Threat Reduction Agency (DTRA) under a $ 2.1 billion military program– Cooperative Biological Engagement Program (CBEP), and are located in former Soviet Union countries such as Georgia and Ukraine, the Middle East, South East Asia and Africa." Go to: https://www.naturalblaze.com/2018/01/bio-weapons-pentagon.html for full article. James Comey to reveal new information on Trump and respond to 'lies' about the FBI. Quote: "Mr Comey, who was fired after Mr Trump admitted to becoming frustrated with the probe into Russia alleged interference in the 2016 election and possible links between his campaign and Moscow, has publicly remained largely silent since his firing. Mr Mueller has since launched his own probe into possible links between the Trump campaign and Moscow. Four former campaign staff have been indicted with various offences.".. "It said that among the episodes that the book will cover will be a one-on-one dinner between the two men and the so-called Trump dossier produced by former British spy Christopher Steele. *" Go to: http://www.independent.co.uk/news/world/americas/us-politics/james-comey-book-tour-trump-fbi-former-director-lies-russia-mueller-investigation-a8259916.html for full article. British Scientists Balked at Pressure to Link Nerve Gas to Russia. Quote; "Porton Down would only sign up to the formulation “of a type developed by Russia” after a rather difficult meeting where this was agreed as a compromise formulation. 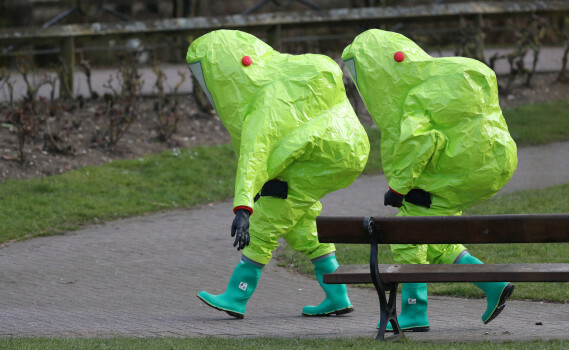 The Russians were allegedly researching, in the “Novichok” programme a generation of nerve agents which could be produced from commercially available precursors such as insecticides and fertilisers. This substance is a “novichok” in that sense. It is of that type. Just as I am typing on a laptop of a type developed by the United States, though this one was made in China. "When the same extremely careful phrasing is never deviated from, you know it is the result of a very delicate Whitehall compromise. My FCO source, like me, remembers the extreme pressure put on FCO staff and other civil servants to sign off the dirty dossier on Iraqi WMD, some of which pressure I recount in my memoir Murder in Samarkand." Go to: https://russia-insider.com/en/bombshell-british-scientists-balked-pressure-link-nerve-gas-russia/ri22809#.WqwY1XsvwIw.twitter for full article. How Trump Consultants Exploited the Facebook Data of Millions. Quote; "LONDON — As the upstart voter-profiling company Cambridge Analytica prepared to wade into the 2014 American midterm elections, it had a problem. Both Congress and the British Parliament have questioned Alexander Nix, chief executive of Cambridge Analytica, about the firm’s activities. ..”Today, as Cambridge Analytica seeks to expand its business in the United States and overseas, Mr. Nix has mentioned some questionable practices. This January, in undercover footage filmed by Channel 4 News in Britain and viewed by The Times, he boasted of employing front companies and former spies on behalf of political clients around the world, and even suggested ways to entrap politicians in compromising situations. In the meantime, Mr. Nix is seeking to take psychographics to the commercial advertising market. He has repositioned himself as a guru for the digital ad age — a “Math Man,” he puts it. In the United States last year, a former employee said, Cambridge pitched Mercedes-Benz, MetLife and the brewer AB InBev, but has not signed them on.“ Go to: https://www.nytimes.com/2018/03/17/us/politics/cambridge-analytica-trump-campaign.html for full article.